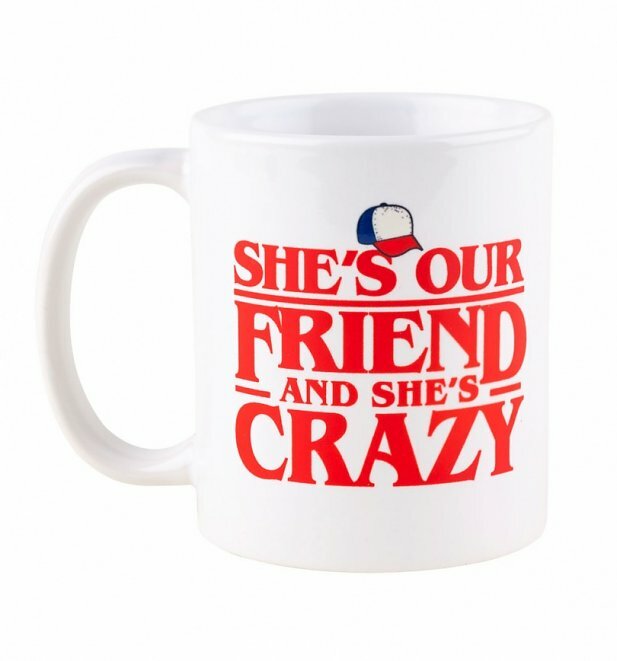 "She's our friend, and she's crazy!" We heart all the Stranger Things kids but we have a soft spot for the outspoken Dustin, showing his unwavering loyalty to Eleven (after all, Friends Don't Lie!) 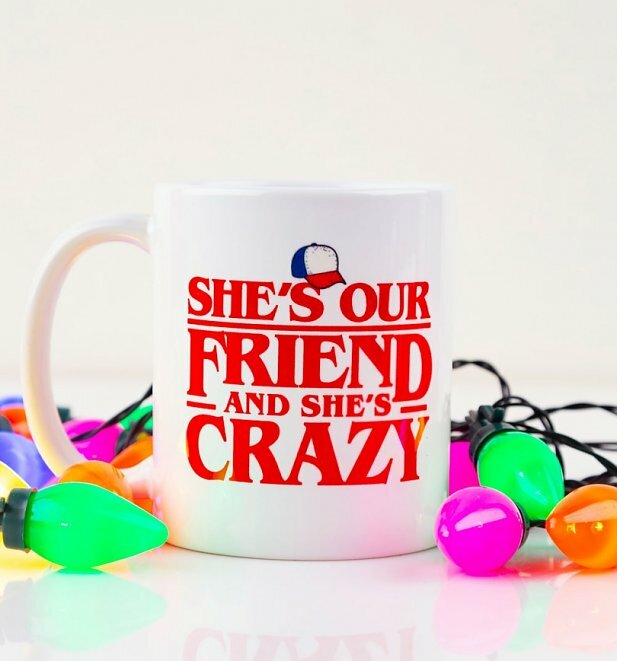 Show your appreciation for Dustin and the gang with this wicked Stranger Things mug. Review: Appropriate wording for my crazy friend.